With large and small compartments, including a tray and mug holder. 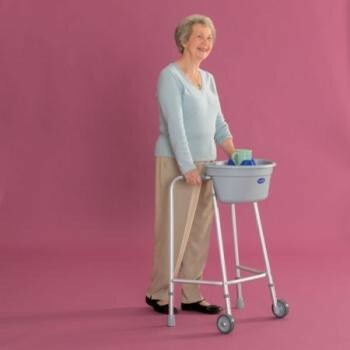 The caddy is easy to fit to most styles of walking frame. Manufactured from a tough, durable plastic it can be cleaned in a dishwasher and has drainage holes, for easy drying. .